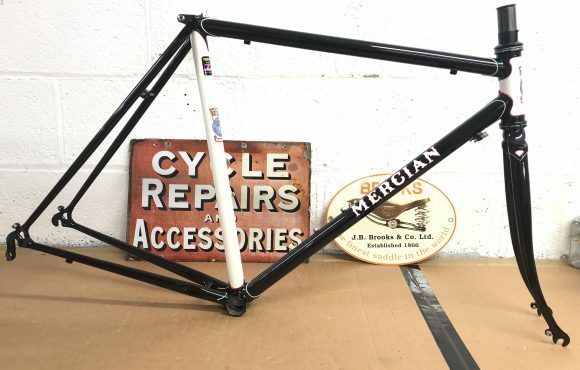 Mercian Audax Special 725 tubing, size 520mm, 540mm top tube, vertical dropouts, 71 deg head angle, 74 deg seat angle. 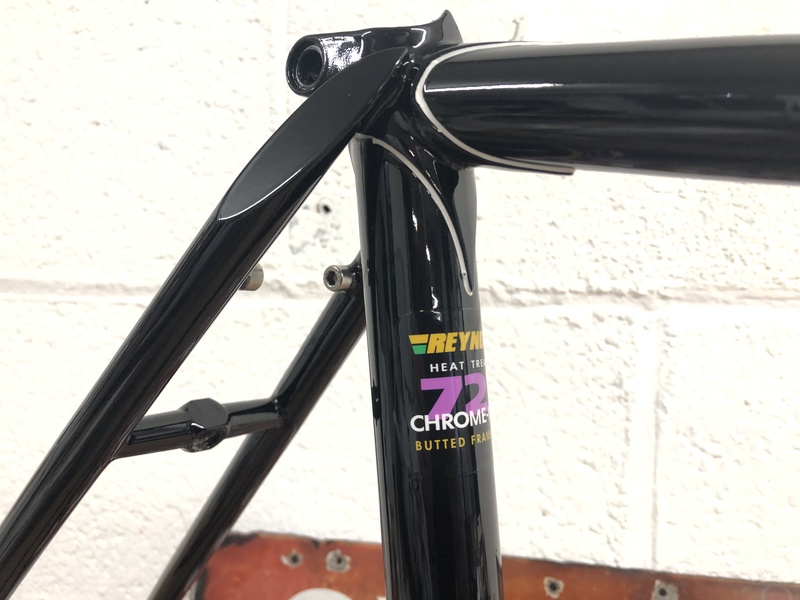 Chainstay length 425mm. 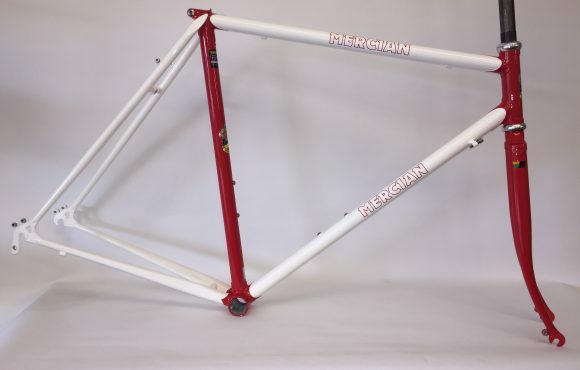 270mm bottom bracket height, 54mm fork rake. 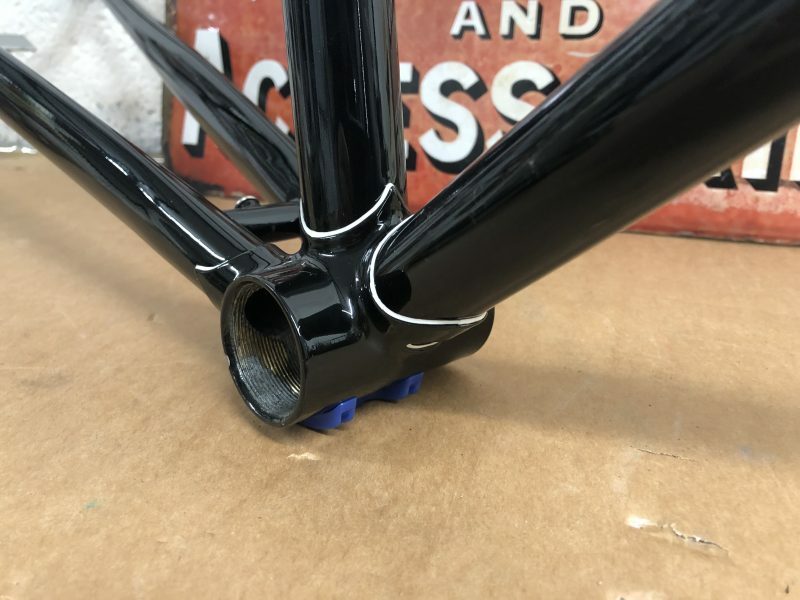 Lever bosses on down tube, chainstay stop, drilled and tapped 5mm under shell for cable tunnel guide. 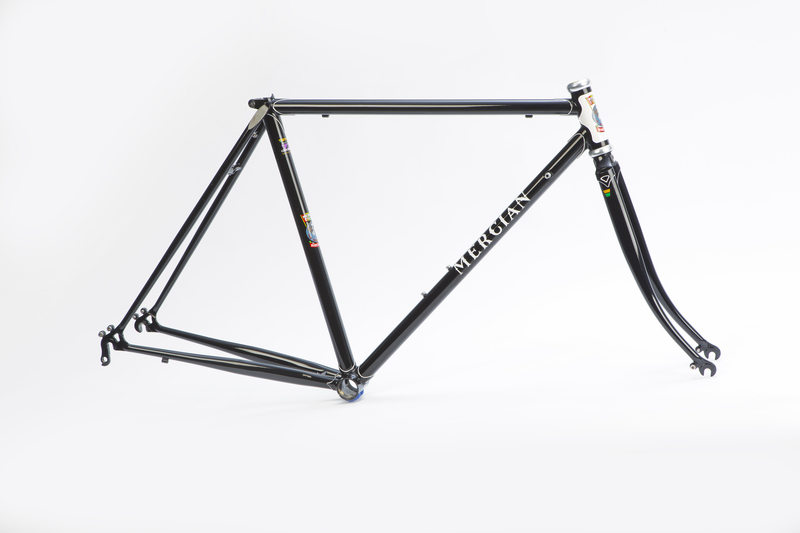 Stop guides lower left hand top tube, rear rack eyes, bottle bosses on down tube, 130mm rear end width. 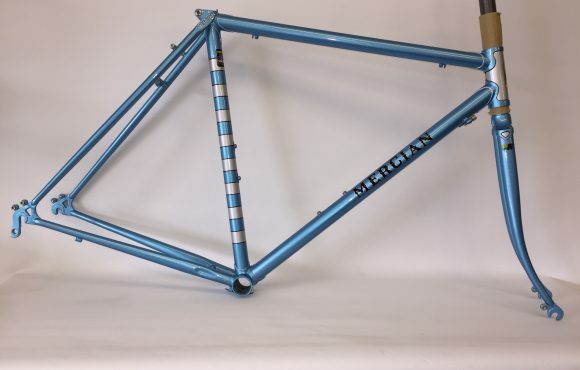 Built for 700 x 28 tyres, with mudguards clearance and braze ons. 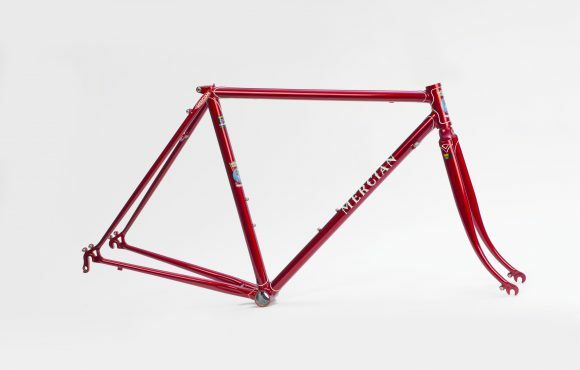 Allen key brakes. 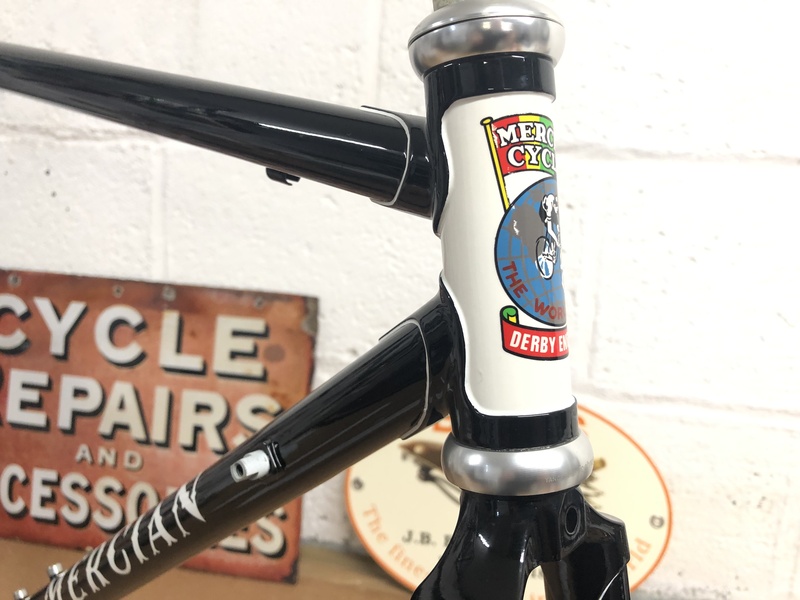 Main finish Black Enamel with White head tube, White Gothic transfers, head crest and seat crest, 725 + ‘R’s on forks. White lug lining.